select *, DATE_FORMAT(birthday, "%b %e, %Y") as _birthday, DATE_FORMAT(died, "%b %e, %Y") as _died, MONTH(birthday) as month_birth, DAY(birthday) as day_birth, DATE_FORMAT(birthday, "%b %e") as _birth_day_month from agatti_people where agatti_people.u_name = "rudolph-valentino"
Shares birthday with Orson Welles, Stewart Granger, Ross Hunter see more.. Legendary actor, Rudolph Valentino, was born Rodolfo Alfonzo Raffaello Pierre Filibert Guglielmi di Valentina d'Antonguolla on May 6, 1895 in Castellaneta, Italy. Valentino died at the age of 31 on Aug 23, 1926 in New York City, NY . In 1913 Valentino hoped upon the S.S Cleveland. According to legend, he then proceeded to use the rest of his money to upgrade his ticket from steerage to first class. There he enjoyed the culture, food, and atmosphere he had grown accustom to in Paris. He arrived in America December 23, 1913. He continued to live beyond his means after arriving in New York, finding himself broke and sometimes homeless. He would spend the next few years on the outskirts of society working as waiter and a gardener. It was while working as a server in an Italian restaurant where another waiter taught him The Tango and soon he gained employment as a full time dancer. He became a taxi-dancer: a young male dancer who accompanied lonely upper crust women to their society parties. It is also rumored he worked as prostitute. These claims maybe based on the simple fact the Taxi-dancers were a "low" position n in polite society. During his time as a taxi-dancer, he met and befriended Chilean heiress Blanca de Saulles, wife of big business man John de Saulless. During their messy divorce proceeding, Valentino testified on her behalf about her husband's infidelity. Soon after, Saulless used his political connects to get Valentino arrest on vice charges that were later dropped. When Blanca shot her husband to death during a custody battle, Valentino joined a theatre troupe and headed west to avoid any further bad publicity. When the troupe Valentino joined disbanded in Utah, Valentino immediately looked for other work and soon ended up in a production in San Francisco. During this time Valentino met a young actor, Norman Kerry, who suggested he try his hand at film acting. The two then moved to Los Angeles, living in the Alexandria Hotel. Valentino immediately found work as once again as a Tax-idancer while using his free time to meet Hollywood High Society. He soon began audition for role in Hollywood, gaining bit parts in films like Patria, Alimony, and All Night. The studios began playing up his dark-good looks, casting him as the "exotic" villain. 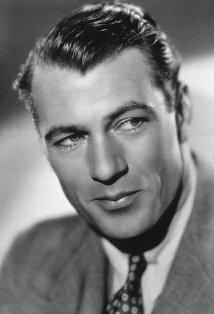 He continued to carve his career out of bit parts through out the late 1910's and early 1920's. It was 1919 film The Eyes of Youth, that would give Valentino his big break when screenwriter June Mathis took notice of the handsome young actor. Although credited as screenwriter, Mathis essentially had the power of a Producer on her films, selecting cast, crew, and director. She insisted that Metro Pictures hire the unknown actor in her next film, the WWI epic The Four Horseman of the Apocalypse. Although initially reluctant to cast the darkly handsome young man as the films lead, Metro eventually gave in to Mathis's demands. Valentino immediately captured the hearts of the female population with his first scene in which he fights for a chance to dance the Tango with a beautiful woman. The film was huge commercial and critically success, and one of the first films to gross over million dollars. Valentino was clearly a now a major star, even if Metro did not treat him as such. Despite the success of The Four Horseman of the Apocalypse, Metro next cast Valentino in a bit part in the B-movie, Uncharted Seas. He next worked on the Mathis penned Camille, which was considered too avant-garde for commercial success. In 1921 he starred in yet another Mathis film The Conquering Power opposite Alice Terry. The film was substantial critical and commercial hit, yet Metro refused to give Valentino the respect and money he felt he deserved. After the film release, Valentino left Metro Pictures for the studio Famous Player-Lasky, and took Mathis with him on the way out. Unlike Metro, Lasky took full advantage of Valentino's star power by casting him The Sheik. Valentino was cast as Sheik Ahmed Ben Hassan, a Bedouin chief who lusts after and eventually woos cultured, Anglo-Saxon woman. Although the film was released to mixed reviews it was an outstanding commercial success, making over a million dollars within it's first year. The film would solidify Valentino's image of Hollywood premier "latin-lover" and helped shape the trajectory of his career and eventual legacy. At this point in his career, Valentino was inspiring full-blown mania. Rumors even spread that some women even fainted while watching The Sheik. 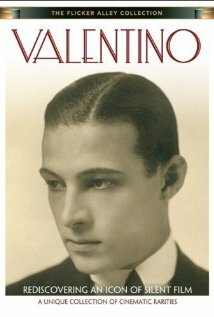 In 1922, Valentino worked on four feature length films. The first two releases, Moran of the Lady Letty and Beyond the Rocks were not critical success but did make substantial money at the box-office. He would collaborate again with Mathis for his next film Blood and Sand. In the film, Valentino plays famed bullfighter, Juan Gallardo who finds himself caught in sorted love affair. The film was critical and commercial success, becoming one of the most financially successful movies of the 1922. After completing the film, Valentino found himself in the middle of a media circus after his marriage to actress/designer Natasha Rambova. Because Valentino failed to wait a year to remarry after divorcing his first wife, Jean Acker, he was arrested on bigamy charges. He then was forced to pay a fine and wait another year before finally marrying. By the end of 1922, Valentino was unhappy with his contract at Famous Players and decided to strike. The Famous Players then filed suit him. The two entities would end up in public battle. Valentino wrote an open letter for photoplay titled, "Open Letter to the American Public," arguing his case and the Famous Players responding by stating the star was more trouble then he was worth, calling him a temperamental diva. 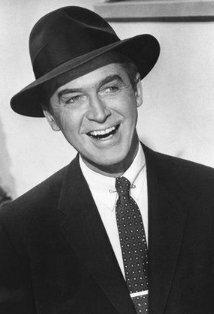 Other studios showed interest in the star but the Famous Players did not want that and extended his contract, thus preventing any employment at other studios. Now in $80,000 in debt, filed another suit and was granted the right to work, but not as an actor. He and his wife then went on a yearlong dance tour, sponsoring by Mineralava beauty products and even judging beauty contests. In 1924 Valentino returned to Hollywood and was offered a $7,500 a week contract with Ritz-Carlton Pictures. They had negotiated a deal for him to finish out his tenure at Famous Player-Lasky while still working for Ritz-Carlton. His first film under the contract was the French period piece Monsieur Beaucaire. Already called out by some critics for his slightly androgynous look, the film cast Valentino is an even more effeminate light than before. The film was commercial and critical flop with much of the blame going to Valentino's wife Natasha Ramova, who was said to have undue creative control over Valentino's films. For his film, The Hooded Falcon, Valentino and Ramova traveled to France for costume, and in the process spent much of films budget. The film was a flop and Ritz-Carlton terminated their contact with Valentino. After his termination from Ritz Carlton, Valentino signed a contract with United Artist for $10,000 a week. The contract also excluded Rambova from the production of his film also stipulated she not be allowed on set, causing a rift in their marriage. 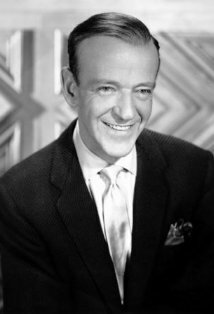 His first film for United Artist was The Eagle. In the film Valentino reverted back to a more masculine image as a Russian Solider seeking revenge against the Czarina. The film was critical hit and did well at the box-office. After the films release, Valentino traveled to Europe and lived lavishly as he and wife began divorce proceedings. In 1926 he began filming The Son of the Sheik. Although he loathed the image, he desperately needed the money. It was to be his last performance. On August 15th, 1926 while on a promotional tour for The Son of the Sheik, Valentino fell ill and was hospitalized. He was discovered to be suffering from both appendicitis and gastric ulcers and was immediately sent off for surgery. After the operation, Valentino developed peritonitis followed by a severe pleuritis relapse. 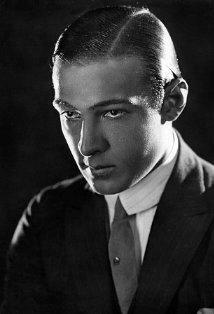 Rudolph Valentino died August 23, 1926. He was 31 years old. His funeral was one of the most elaborate of anyone in Hollywood. For three days, thousands and thousand of people crowed to the funeral home to say their final farewells to America most famed Latin Lover. He was honored with one star on the Hollywood Walk of Fame in the category of Motion Pictures. In addition, Valentino was immortalized on a US postal stamp in 1994. Valentino was never nominated for an Academy Award. Lord Hector Bracondale: Darling, we have passed the rocks and here are the safe waters beyond. Ahmed, the Sheik's Son: [the Sheik picks up a thick bar of iron and bends it into a u] I will bend you to my will, as I bend this bar of iron. 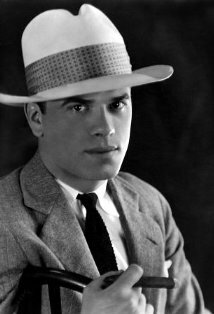 In 1923 he recorded two songs, "Kashmiri Love Song" (from The Sheik) and "El Relicario" (from Blood and Sand) for Brunswick Records. 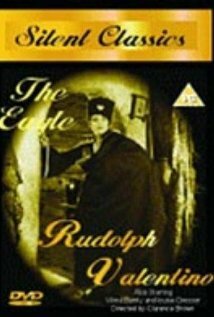 Both recordings still exist and have been released on the CD "Rudolph Valentino: He Sings & Others Sing About Him". He is responsible for bringing the Argentine Tango to America, first performing the famous dance in his film The Four Horsemen of the Apocalypse (1921), and later in a successful American national dance tour with his wife, Natacha Rambova, who, like Valentino himself, was once a professional dancer. Worked as a dishwasher, taxi dancer, and gardener before starring in The Son of the Sheik (1926).